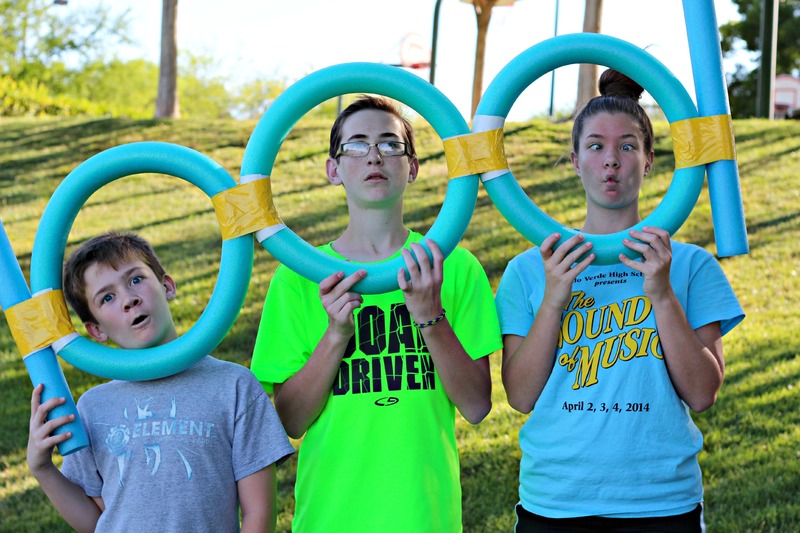 Summer is in full swing and it’s time to get the kids outside having fun. We love playing games as a family but it can get expensive buying a lot of games. I decided it would be fun to make our own DIY Outdoor Games so I headed to the store for the supplies. 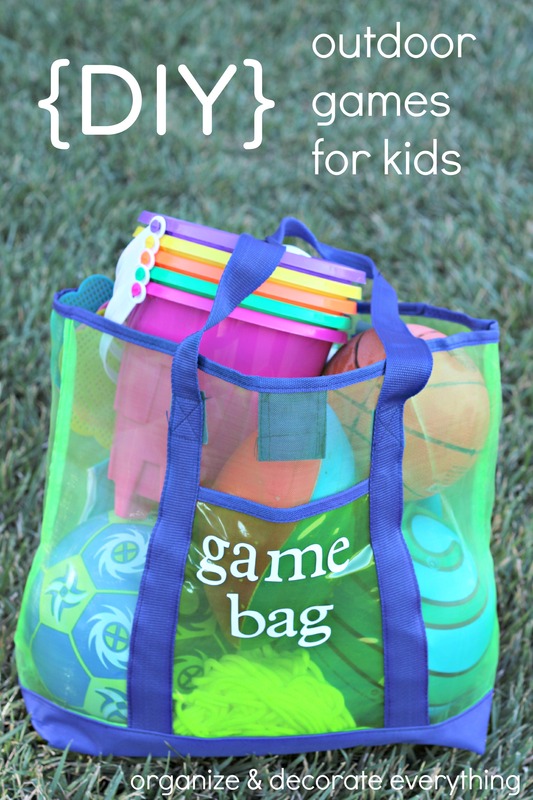 It was really easy finding everything I needed for a few fun games I knew the kids would enjoy. Heck, hubby and I loved playing them too. Here are some of the games I made for the family to enjoy. 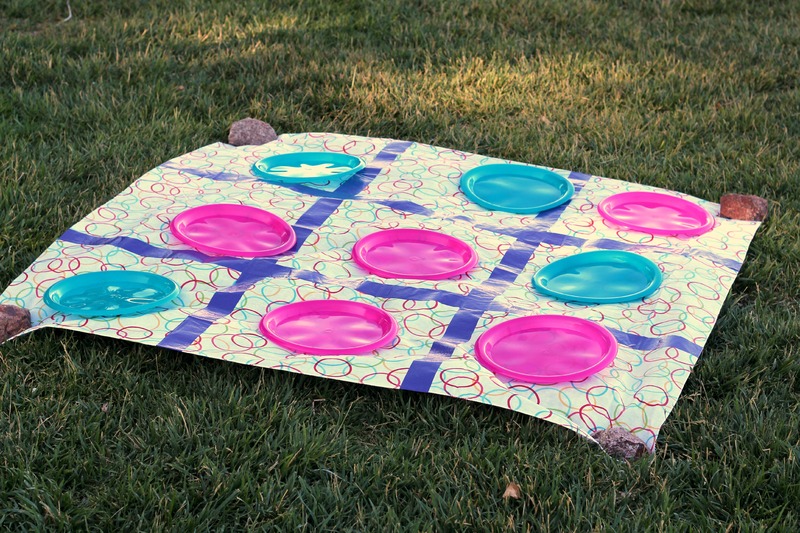 They would also be fun for a family reunion or Summer party. Small kids can play it like regular tic tac toe, just on a larger scale. Older kids can play by tossing the plates like a Frisbee onto the square they want. They’re really having fun, I just snapped this photo at the wrong time to show that. 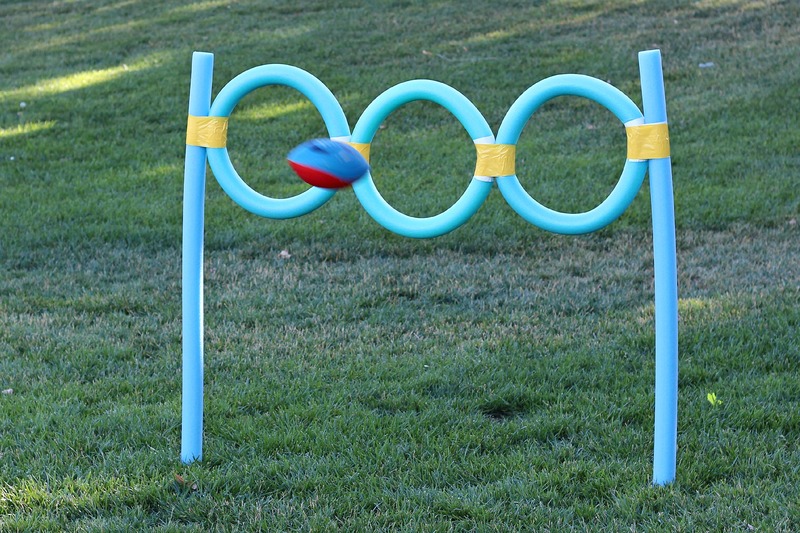 You can give each hoop a different point system or just one point for each throw thru the hoop. We played it where you would get a point each time you tossed it thru. Play like regular badminton. We played over the football toss since it was already set up but a net would be even better. 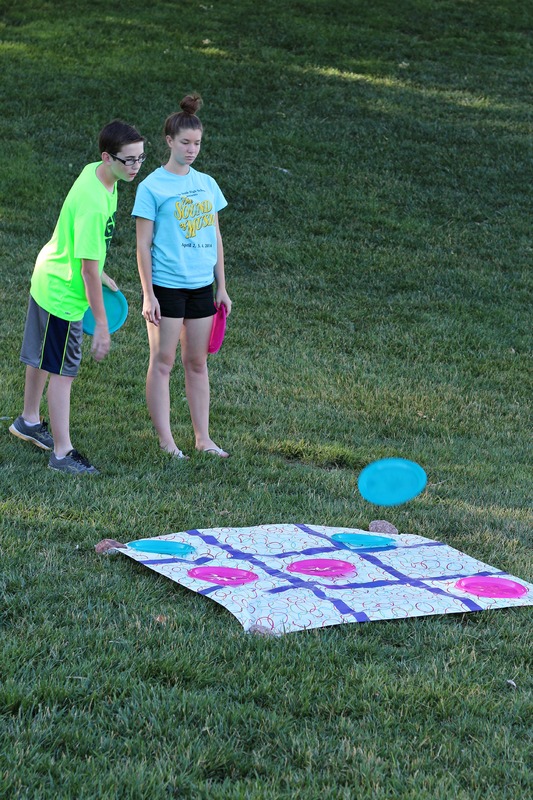 This was our favorite game and it’s more fun the more people you have playing. 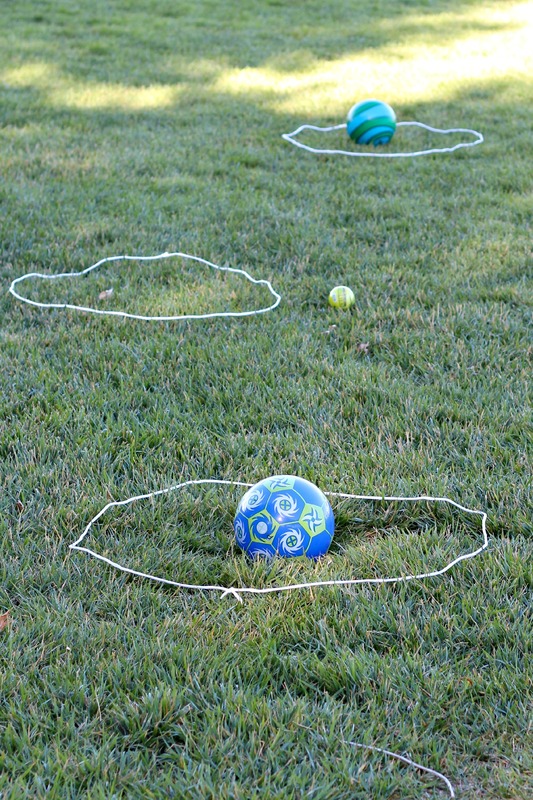 You have 2 teams, one team is trying to get all the balls inside all the circles while the other team is trying to get all the balls outside all the circles. It is so fun and very fast paced. 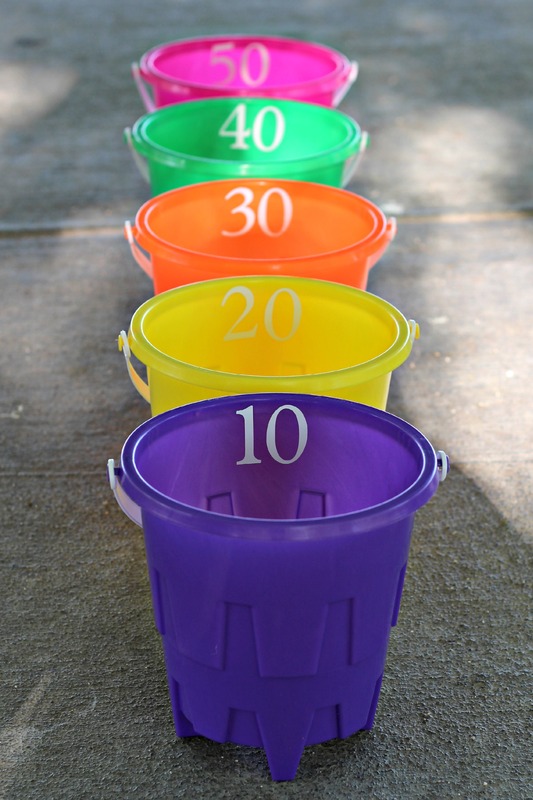 Line the buckets up starting with the smallest number closest to you. 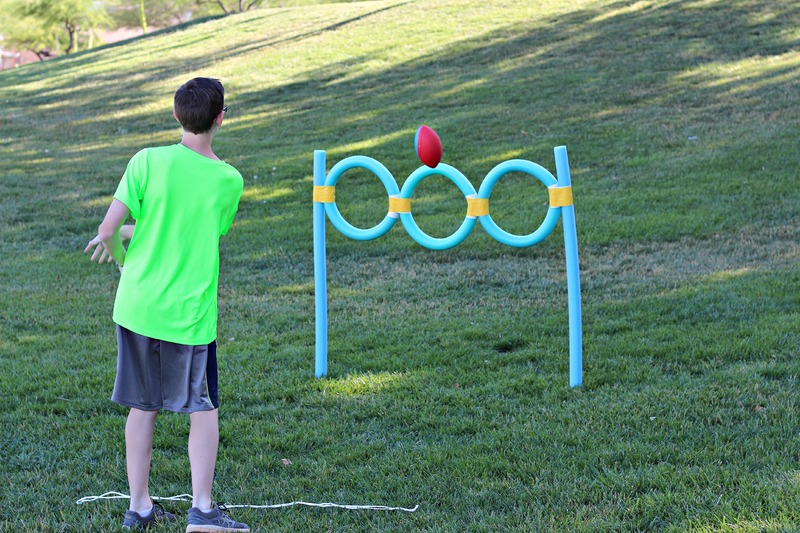 Each player gets 3 balls to toss and the player with the most points wins. Smaller kids can stand closer to the buckets with older kids starting farther away. 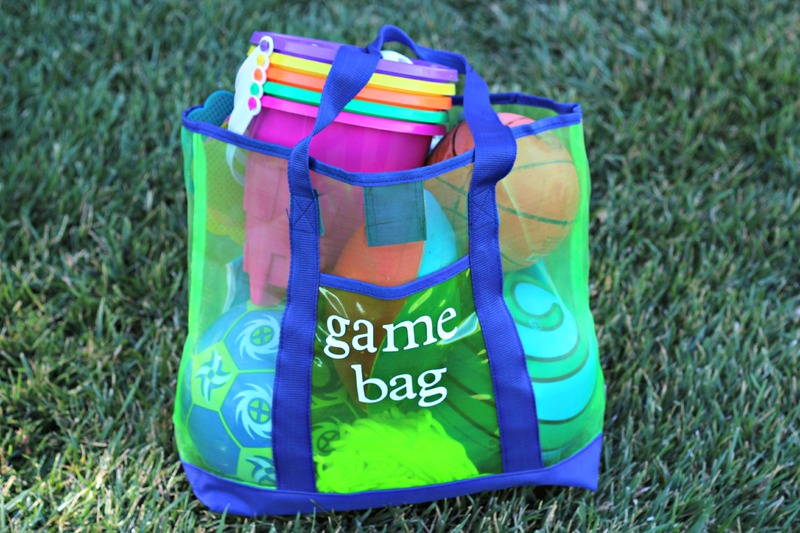 I also made a Game Bag to carry all the supplies except for the football toss. We’re going camping this Summer and this is going to be so fun to bring along. I was able to make all 5 games for $23-29. I love how inexpensive it was to make all these games and that my kids are having a blast playing with them. Now I’m trying to think of more games to make. What would you make using these supplies? Awesome post! I love these creative and inexpensive ideas!! These games are so great! I love the large tic tac toe!! I’m def going to hit up the dollar store and make a summer bag! Oh my goodness I LOVE how creative and fun these ideas are! Bonus that they are inexpensive as as well! I am thinking these would also be fun at a birthday party! Thanks for the ideas! Wow such great ideas! I’m going to make some of the games and get a bag together to take to our weekly Cub Scout meetings. The boys love getting outside and moving at the end of our meetings. Paper plates and ping pong balls make a great table tennis game. Just use the picnic tables the park has to play. Love the football toss. 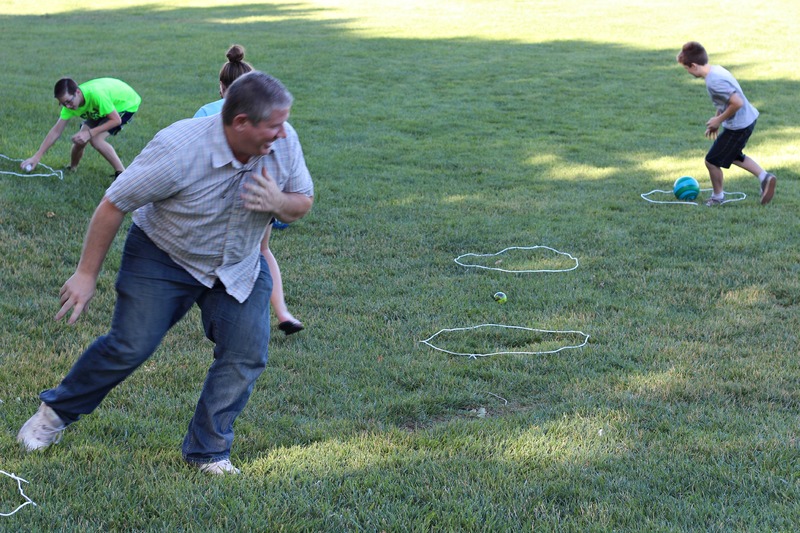 I’ve done a similar game using pool noodles like spear tossing. 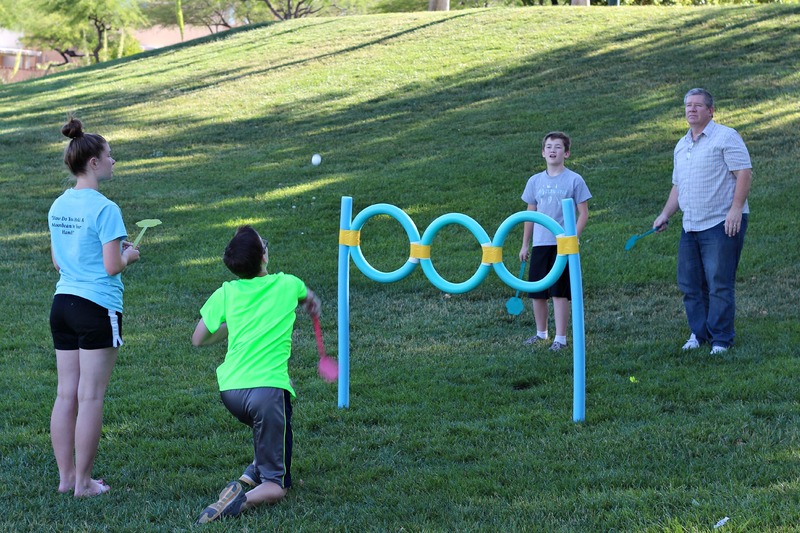 Frizbee golf is easy using the in-out ropes for targets. 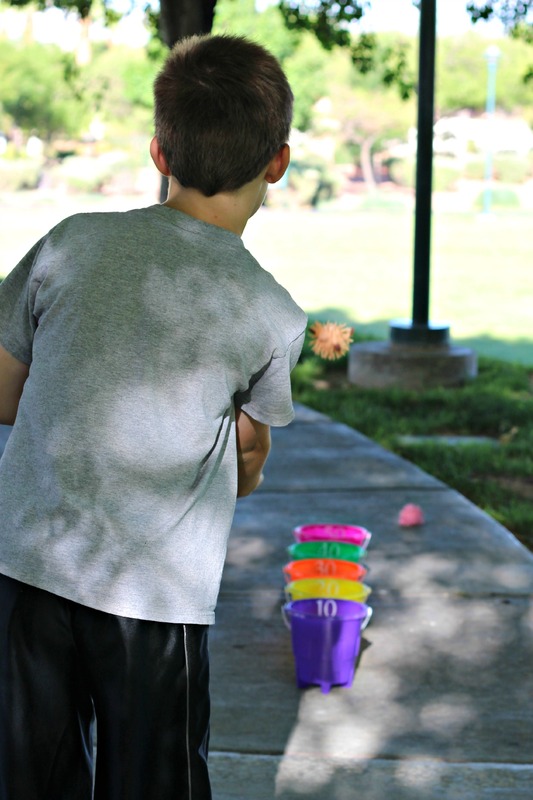 Use the buckets to catch balls with or use with water for a fireman relay. Each team tries to bail the most water into their own larger container from the opposing teams water supply. These are great ideas. 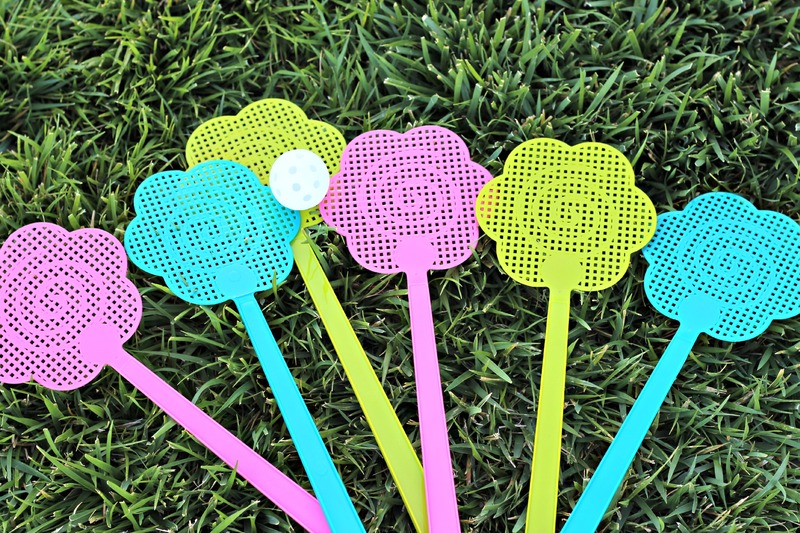 I’ve been trying to help my sister come up with inexpensive ideas to entertain her kids in their summer heat. I think the Ins and Outs game would be a smash hit!